Spray foam insulation applied to your new build or existing home with the most advanced spray foam equipment available worldwide. 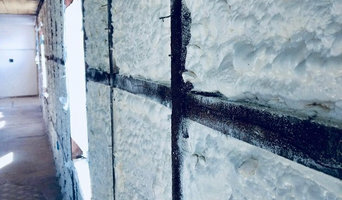 Mullins Company professionally installs spray foam insulation, fiberglass insulation, acoustical ceilings, and acoustical wall panels in Eastern Tennessee, Southwest Virginia, Western North Carolina and Southeastern Kentucky. We offer free estimates for your commercial or residential property! 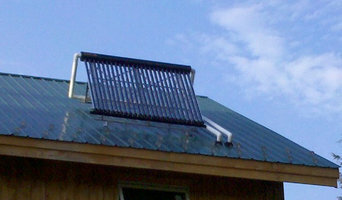 Established in 1985, we made our beggining by working with Commercial Restaurants installing custom hood systems. 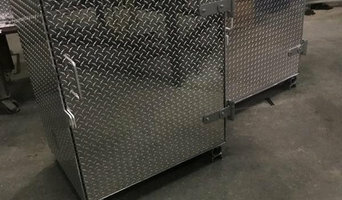 We have since branched out to residental providing metal needs from simple steel fabrication, to professional walk-in freezer doors for large restaurant industries. We have many years of experience and pay expert attention to detail. Since 1979, Harmony Timberworks has been supplying finely crafted timber frame systems and structures. As an industry pioneer and innovator, Harmony Timberworks has successfully evolved from a small specialty materials supplier to one of the leading custom timber framers in the industry. With each new project, we renew our steadfast commitment to the highest level of quality and client satisfaction. Today, we are proud to feature a body of timber framing work second to none. Residential or commercial, there are no preconceived notions to limit your style or dictate your material selections. Whether you already know exactly what you want, or you’re looking for suggestions and guidance from the Harmony design team, our seasoned staff is committed to understanding your vision and design preferences for each timber frame project and working in partnership with you to make it happen. Our work ranges from decorative timber eave brackets, timber braces, timber pavilions, simple timber frame entry systems, timber frame porches, and timber trusses, to award winning full timber frame homes and commercial structures. Our greatest strength is having the experience to understand where aesthetic, structural, and cost curves intersect. FF Adhesive and Insulation Inc is a licensed and insured, locally owned and operated, full-service insulation contractor. We specialize in open and closed-cell spray polyurethane foam and offer blown-in and batten fiberglass installation. We also provide building services such as insulation removal from walls, attics, crawlspaces and basements. In addition we offer roof coatings made from materials such as silicone and acrylic over top our seamless polyurethane foam. Customer Service Is Our Priority Here at FF Adhesive and Insulation we’ll go that extra mile to ensure you receive the highest quality of service that’ll bring you utmost satisfaction. Punctual in our service, we’ll complete the project with efficiency. Personalized Solutions We have have a range of insulation products that can be matched to your specific job requirements. From interior walls to exterior roofs, we’ll do our best to apply the best product applications to suit your custom needs. Professional Personnel Our workforce has extensive knowledge of our products and techniques to efficiently and safely complete your projects. We will assure to the best of our abilities that the job is completed in a safe manner, on time and correct the first time. Silverton Mortgage is a lender offering renovation and construction financing to those looking to purchase or refinance. I have been a renovation and construction specialist for 20 years in Western North Carolina assisting homeowners with Jumbo Renovation and Construction, Conventional Construction and Renovation, FHA 203ks, VA/USDA repair escrows, pool escrows and more! Steep Creek Stoneworks is Asheville's premier masonry contractor, specializing in both residential and commercial stonework for over 15 years. Our professional team of masons are highly skilled in a variety of stone and brick applications, and take pride in the work they do. 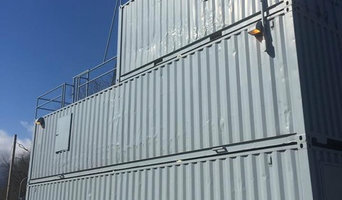 From large scale projects to the smallest of details, we will meet your design and installation needs. Specializing in the finish phase of house construction. As expert tradesmen we work with architects and designers to satisfy clients seeking the highest standard of craftsmanship in custom woodwork and metal work. David Humphrey and Chad Hajek met as like-minded sub-contractors on a construction site in 1997 and joined forces with Leslie Humphrey to found Square Peg Construction April 28th 1998. As a trim carpentry business specializing in the finish phase of house construction, Square Peg now employs two additional carpenters in their 28 London Road wood and metal shop, and manage several carpenters in the field completing whole house trim-outs. Chad Hajek moved from Florida to Asheville by way of Alaska in '96 and takes full advantage of the mountains as a hiker, snowboarder and expert Max-Patch sledder. He is currently taking a break from company life. 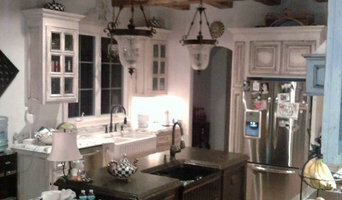 Plaster and drywall contracting specializing in fine custom plaster work. Sell My House Fast Johnson City LLC offers you a refreshing and convenient process to sell your home. We buy houses as-is and we take care of doing the repairs so that you don’t have to worry about it! We are are currently looking for homes to remodel and resell. For a fair cash offer, visit our website below. <a rel="nofollow" target="_blank" href="https://www.sellmyhousefastjohnsoncity.com/">https://www.sellmyhousefastjohnsoncity.com/</a> Fill out the form and we will be in touch with you shortly. We are a local Johnson City cash buyer you can trust and look forward to speaking with you! Whether you’re looking for a team of Mars Hill, NC professionals or a handyman for a small renovation, you’ll find dozens of professional profiles and contact information for specialty contractors here on Houzz. Here are some related professionals and vendors to complement the work of specialty contractors: General Contractors, Landscape Contractors, Architects & Building Designers, Interior Designers & Decorators, Kitchen & Bath Designers. Let’s say you want to install custom wood flooring in your dining room, and you’ve found a Mars Hill, NC company with excellent reviews. Next you’ll want to contact the company and make some inquiries. Find specialty contractors on Houzz. Look in the Professionals section of our website under Mars Hill, NC specialty contractors, then select the nearest metro area for a contractor. You can also look through North Carolina photos of completed projects to see how a contractor might approach design challenges.